On my mash profile, I've said to add 55 litres of infusion water (as this is the amount of water I start with). 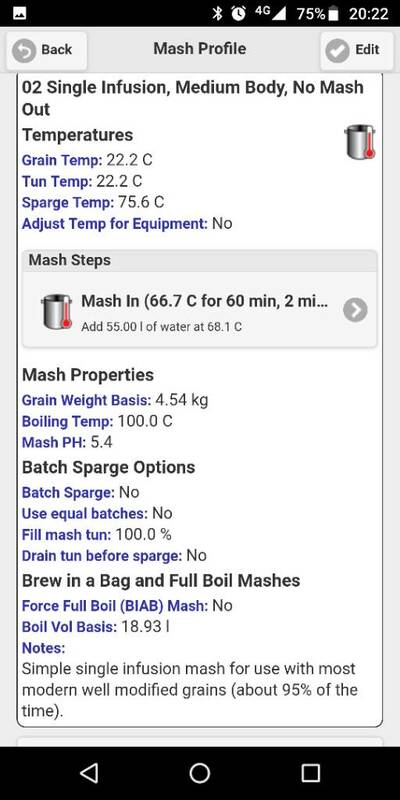 I normally sparge with 9 litres or so but I don't think I've added that anywhere on beersmith. 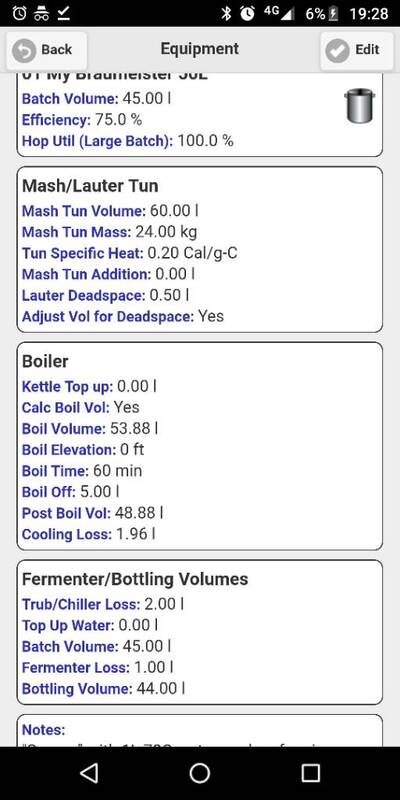 But the app has calculated my pre boil volume as 53.88 litres, which is also about right. 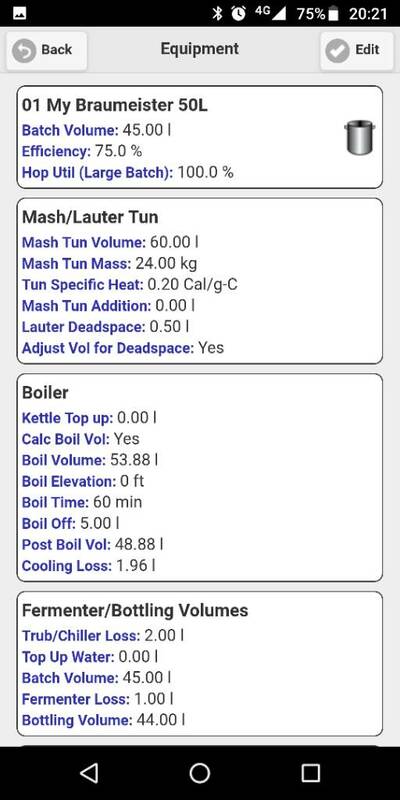 On my equipment profile, I've got my final batch volume as 45 litres, which is what I usually get after boiling. But then if you look at my brewday timer, it says to start with 121.65 litres of water and to sparge with -54.75 litres which is obviously wrong. 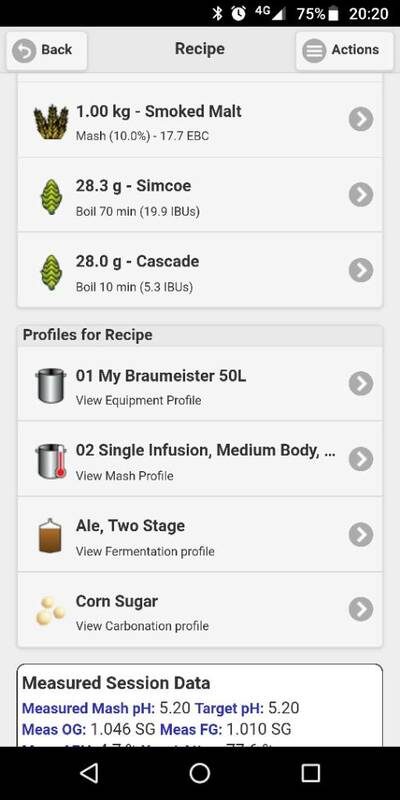 Can you also upload a screenshot of the main recipe (showing all selected profiles, mash profile etc)? Can't see from the images the reason it would state the volumes in the timer. 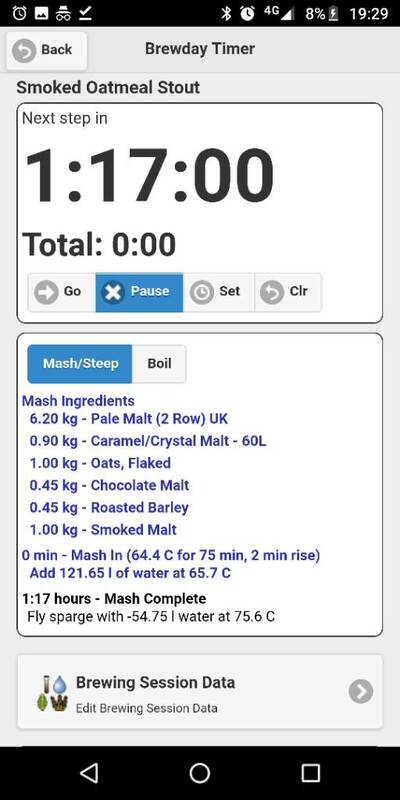 You can see on the third and fourth pictures down that it says to mash in with 121 litres - that's what I see when I go into the recipe, and click on the mash profile. But if you look at the 6th and 7th pictures, the actual mash profile itself says to mash in with 55 litres.